Description: illustrations 112 What causes a society to collapse? What's it like to grow up as a third culture kid? How has microcredit changed people's lives? You'll find the answers to these and other questions in Contemporary Topics Introductory, by Jeanette Clement and Cynthia Lennox (Series Editor: Michael Rost), which features college lectures from several academic disciplines, including archaeology, anthropology, and economics. 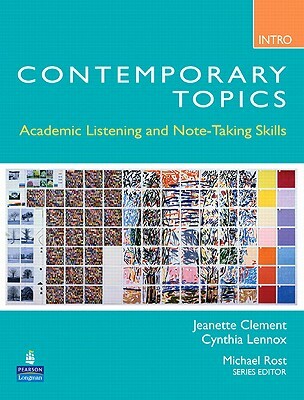 Contemporary Topics Introductory prepares students for the challenge of college lectures with practice in a wide range of listening, speaking and note-taking skills and strategies. The lectures (available on CD and DVD) were filmed in realistic academic setting before line student audiences.